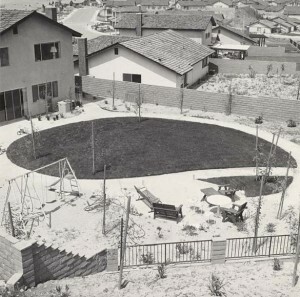 Joe Deal rose to prominence in the mid-1970s when work he made as a graduate student at the University of New Mexico was included in the exhibition New Topographics: Photographs of a Man-Altered Landscape (1975). From 1976 to 1989, he taught photography at the University of California, Riverside, where he was instrumental in establishing a photography program and developing the university-affiliated California Museum of Photography. 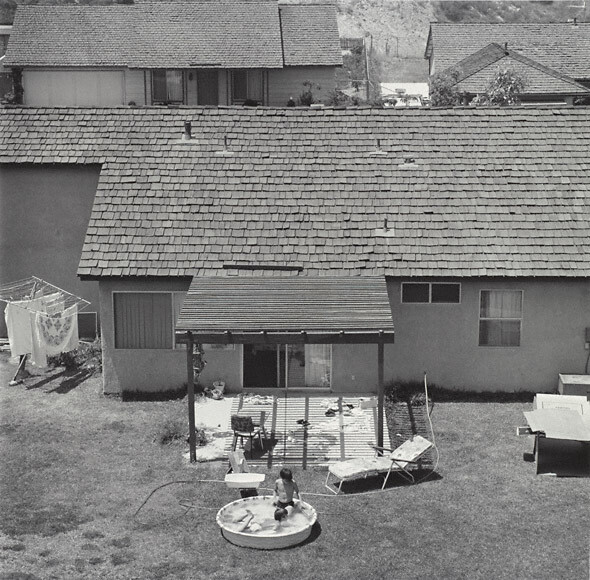 His photographs of Diamond Bar feature backyards of this primarily residential suburb located at the junction of the Pomona and Orange freeways in eastern Los Angeles County. Deal’s implementation of a slightly elevated perspective that eliminates the horizon line and provides a view into neighboring yards effectively conveys the close quarters of life in a master-planned community.